I hope you enjoy whatever celebrations you are planning for today. We are hoping that the rain will stay away so we can go to the Picnic in the Park. Did you check out the tips for photographing fireworks from Nick Kelsh? If you missed the post - you can click HERE to see it, lots of great advice! We won't be seeing any live fireworks this year. Our town doesn't do a show every year and the crowds at the Hatch Shell on the Esplanade in Boston can be overwhelming. 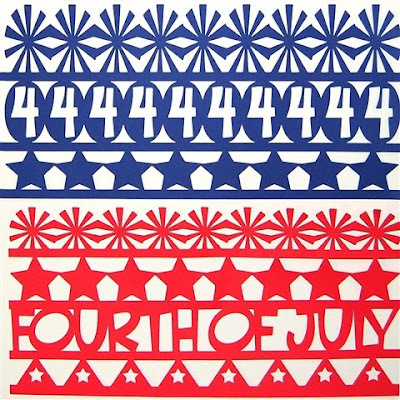 You may remember some of these projects - if you haven't seen them before you can click HERE to go to a post with links for several Fourth of July projects. You can also click HERE to see all of the past posts with the label "H - Fourth of July" - there are some nice parade and Picnic in the Park photos in previous posts. I know that many of you live in other countries - so have a wonderful day even though it isn't a holiday for you! 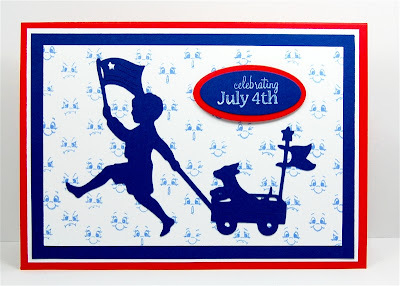 Hi Diane, happy 4th of July to you, your family and your Dad, hope you have a great day. We had Canada Day celebrations on Sunday and it was a gorgeous day. Can't wait to see what you are working on. Peace et the War of all wars 2 end. What fun cards! 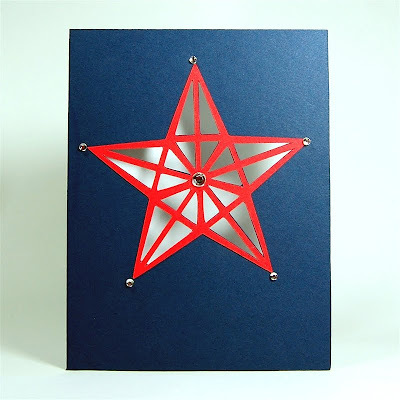 I really like the star and will guess that it is a shape that you designed! I wish you safe travels and good health to your Dad. Yes, I remember your past cards since I've been a follower for several years. There's no fireworks limit where we live so the noise went on until 2:00 last night/this morning. The sky was lit up beautifully. At least the doggie valium worked on our little dog and she slept right through the noise. Have a great visit with your Dad.